If you have not picked up the latest Fast Company for December 2010, you really should! SeeClickFix is featured alongside our clients Tucson, AZ and Manor, TX along with Gov20 Co-Conspirator Code For America. The Saratogian Shares Community Question: Can Saratoga Springs rent out Visitor Center Space? 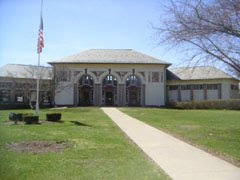 Reported by The Saratogian, members of the Saratoga Springs community ask if it is possible to outsource the Saratoga Springs Heritage Area Visitor Center to another community group in light of budget difficulties, raised in Issue #64475. Community member Brian on SeeClickFix encourages a healthy discussion to ensure city tax payers are getting the most values. Other members supported Brian's opinion and added that the Visitor Center should be a priority because tourism brings the most revenue to the city. As outlined in The Saratogian, government officials have acknowledged the issue and are discussing the options. WECT of North Carolina investigated issue #61816 , which reported a potentially dangerous area coming out of the Food Lion shopping center on Carolina Beach Road. It has been requested that a traffic light be put in place to prevent an accident. Other concerned citizens have commented on the issue in agreement that this is a dangerous location and that they've witnessed accidents as well. WECT interviewed the N.C. Department of Transportation, and found that according to them "any time a development causes an impact to existing traffic it is the developer's responsibility to make improvements." According the WECT, a traffic signal is planned for the shopping center in conjunction with the new McDonald's restaurant! In just a couple of hours, an issue reported in New Haven's East Rock neighborhood has attracted over 60 views, 7 votes, and several comments. The issue: limited visibility turning onto Edwards Street from Livingston Street due to illegally parked cars. So far, a number of solutions have been suggested. Among them are increased parking enforcement in the current no standing zone, or changing the intersection to add bump-outs, bollards, a roundabout, curb extensions, or converting it to a raised intersection. What do you think? How can the City of New Haven improve this problem? The Bronx News Network recently integrated the SeeClickFix map widget onto their website. Community members of the Bronx can now report and vote for issues directly from The Bronx News Network site. So far, a number of issues have been reported within the Bronx area, and Councilman Fernando Cabrera has created a watch area! On Saturday, November 13, The Saratogian addressed issue #64748, where a SeeClickFix user posted an issue regarding two cedar trees that were planted near a stop sign and are obstructing the view of oncoming traffic between the intersection of Hawthorne Blvd. and Hutchins Rd. in Saratoga Springs, NY. It was reported that there are community concerns that this intersection is dangerous and could cause an accident. With further investigation, The Saratogian found out through City police Sgt. Andrew Prestigiacomo that there was one accident reported at this intersection so far, caused by a driver failing to yeild to the right of way. Public works was also interviewed and reported that they will work to assess this intersection within the next two upcoming weeks. Tim Cogan, the Deputy Public Works Commissioner, was reported saying that "We'll trim the trees." Local governments across the country are cutting back. While these cuts can strain a city's ability to provide services, they also present city residents with opportunities to become more engaged and fill in the gaps with civic action. That's what we're seeing in Philadelphia, and SeeClickFix is proud to help. Philadelphia Mayor Michael Nutter announced a series of budget cuts in May, including about $1.7 million to an office that oversees the city's Town Watch Integrated Services. The program works with local residents to help them patrol their own neighborhoods and create safer communities. In the face of these cuts though, one civic group in Philadelphia is still growing. The Passyunk Square Town Watch is recruiting members, reporting issues, and working to help solve them. By working through SeeClickFix, their group just gained one more partner: SCF user Bob Shipman. Bob has been reporting issues in the group's watch area and recently contacted the group's leadership to get more involved. This is exactly how ordinary citizens can work together to change their communities. Guilty of dedicating little time to reading I expected to vainly consume only one chapter. However on a recent flight to Toronto I failed to only scope the index for references to SeeClickFix and finished Next Generation Democracy before touching down. 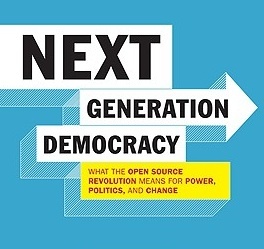 Next Generation Democracy chronicles distributed and open movements and organizations that are reshaping the face of democracy. Through the stories of ordinary people who have made instrumental impact on the world, Jared links the similarities in effecting change back to the principles of the open source software movement. The forward by Tim O'Reilly reads, "...now is the time for government to reinvent itself, to take the old idea of government 'for the people, by the people and of the people' to a new level." This is the story of people who are helping government to think of itself in a new light. This is the story of government as a partner with its citizens and as a platform for participation. This is the story of government as an enabler. Most importantly this is not the story of the government that sits solely inside city hall, this is the story of the government that sits in the collective actions of all of us and sparks the average citizen to speak up and enable their neighbors to do the same. Malcom Gladwell wrote in the New Yorker a few weeks back that, "Social media can't provide what social change has always required." That first tweet about global warming is a much easier on-ramp for the average citizen. Those that will tie themselves to trees and show up to City Hall for town meetings are not less likely to do so. In many cases social web platforms can enable those that tie themselves to trees to get many more to do the same. In the same way that a few check-ins on foursquare can lead to a swarm, organizers can get those to rally in real life. Between 40,000 and 100,000 people still attended the Copenhagen Summit and gave cause for 968 arrests. Its not the individual tweet that creates a revolution but the trending hashtags of thousands of tweets that provides awareness to many who would not have been previously aware. Social Media personalizes our new global consciousness through the voices of our friends. The platforms teach us that leveraging users and citizens will only make the platform/democracy stronger . The read write principles of the web platform are what's fundamentally changing the way we organize and effect change. From the evolution of Linux to the distributed mechanisms of the US Coastguard, Next Generation Democracy shows us how being more inclusive in our decision making and providing easier access to governance can reshape democracy for the 21st century. As a perfect debunking of "Why the revolution will not be tweeted." Jared tells the Story of SeeClickFix users who met online and formed a block watch off-line to improve the real space around them. We are honored to recognize Newberg, Oregon as recent partners of SeeClickFix. As you will see, this community is all about citizen participation. And so are we! Newberg is a small but vibrant community with big dreams for the future. Conveniently situated just 25 miles southwest of Portland, Oregon, yet surrounded by a greenbelt of farmland and forest, Newberg retains a sense of place that makes citizens feel part of something special. And they are indeed. Newberg is a fast-growing, business-friendly city that still understands the value of citizen involvement. The participation and input of citizens is a vital part of any community’s future. When the people have a voice in the actions and plans of the city, municipal leaders gain a unique perspective and a relationship with their citizens that promotes smart, organic growth. Newberg administrators have this figured out, so it’s no surprise they are integrating SeeClickFix into the workings of their service departments. Community reporting is the perfect complement to their citizen-focused approach. SeeClickFix is just one way the people of Newberg can participate in local affairs. The city was recently presented a “STAR Award for Community Involvement,” a recognition of exemplary efforts to involve citizens in a land use planning process. Newberg ran a public outreach campaign to get feedback on their 30-year community growth plan. Partnering with the Downtown Coalition and other organizations, the City of Newberg is currently running a “Cultural Center Plaza Survey,” which involves plans for the revitalization of the area around the Newberg Library and the Chehalem Cultural Center. Inviting feedback and ideas of from its citizens, the community will benefit from multi-faceted, creative participation. That’s our vision too, from the perspective of fixing issues (big or small). The city officials alone are hard-working; the citizens alone are well-intentioned. Bringing them together with a platform that makes communication easy, we hope to provide a powerful tool for growth and improvement, for any city like Newberg -- one that recognizes the change-effecting value of citizen involvement. Philadelphia has been a friend to the cause of SeeClickFix as we’ve worked to improve communities and promote open government. The city’s reporting platform, Philly311, has been acknowledging issues through SeeClickFix, but their commitment to integration and open data has gone above and beyond mere citizen reporting. Last spring, the Philadelphia Bike Coalition established watch areas of their own, and actively encouraged cyclist participation in the improvement of Philly roads. Later that year, we were thrilled to see a non-profit environmental group (IdleFreePhilly) tag-teaming with the city government by taking responsibility for certain types of reports. What stellar initiative! Philadelphia has really set the tone for maximizing the benefits of SeeClickFix, which has provided an example for other communities and increased awareness of our services too. And the city continues to promote smart answers to pressing issues, empowering citizens and leaders alike. Last month, Mayor Michael Nutter welcomed a number of mayors and CIOs from across the nation to the Mayors' Technology Summit, an event to encourage the use of relevant IT solutions for cities. Topics included mobilizing city workforces, embedding smart technologies in key city operations, and connecting to urban residents through the Internet. In keeping with this spirit of collaboration, SeeClickFix is always open for comments, opinions, and ideas for improvements. Our friends at Philly311 recently suggested a feature which has now been implemented -- the ability to “hide” an issue on the Dashboard. To reduce clutter or temporarily remove an issue from “front and center” (perhaps for long-term or extra-involved projects), an administrator may choose to “hide” it from the primary issue list until it’s ready to be addressed. This is really what SeeClickFix has been about from its inception -- working together to improve communities, without a lot of fuss about who gets credit. The focus is where it should be -- on results. We continue to welcome comments, constructive criticism, and new ideas. Thanks to Philly311 for helping us get closer to our goal of providing an adaptable and relevant tool that meets the needs of each unique community. About a month ago, a citizen reported issue #57229 in Providence, RI, stating that there was an abundant amount of trash and weeds along Smith Street, Orms Street and Tyndall Ave sidewalks. The reporter suggested adding more trash barrels as a solution. A few days later, another citizen in Providence had suggested the solution of organizing a street clean-up and getting "Providence College and St. Patrick's school involved." Well just 2 days ago, it was reported by the original poster of this issue that a "Neighborhood organization and some residents and students performed a clean up of trash and weeded tree wells." She also stated that a half demolished building has also been addressed and that a fence has been erected with signs of construction work beginning to take place. Congratulations to Lincoln Chafee and Open Gov! A few weeks ago we wrote about Rhode Island Gubernatorial Candidate Lincoln Chafee and his Open Gov platform for Rhode Island. Today I write simply to say...He Won!!! Want to win an election? Put Open Government on the agenda. We’re pleased to welcome aboard the Roosevelt Island Operating Corporation (“RIOC") -- a public benefit corporation and a political subdivision of the State of New York. On its website, the corporation states its mission to promote and develop the mixed-use residential community on Roosevelt Island, and to provide beneficial services and governance. The area is in progress mode, as evidenced by new residential and commercial development, as well as an energetic Board Director by the name of Jonathan Kalkin who reached out to SeeClickFix as a logical next step in his plan for moving Roosevelt Island forward. Kalkin is all about technology’s potential to improve everyday life for citizens of Roosevelt Island. He recently reported on a multi-faceted plan to improve the area’s transportation system, which relied heavily on creative uses of technology. It makes sense that SeeClickFix would integrate into the future of a forward-thinking community like Roosevelt Island. Thanks to Kalkin and other progressive minds, the future is bright for RIOC -- and we look forward to being a part of it!